About 400 goods-laden trucks have been stranded at the Horina ferry terminal in Chandpur since January 10 because of a shortage of vessels. Many of these trucks are carrying perishables goods. The vehicles, mostly from Chattogram and Cumilla, are bound for places like Khulna, Faridpur, Shariatpur, Patuakhali, Benapole, and Barishal. Drivers and their assistants said they were suffering from shortage of food and drinking water and complained of insufficient toilets and accommodation facilities. 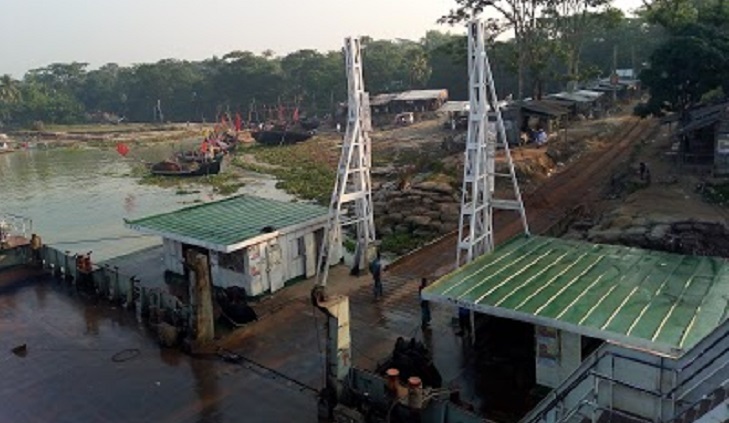 Quoting BIWTC's Horina Ferry Terminal Manager Parvez Khan UNB said four ferries were operating between Horina Ghat and Alurbazar Ferry terminal in Shariatpur. The ferries cannot carry more than five trucks at a time and often go out of order, the drivers claimed. Parvez said adding a few more ferries would solve the problem.